Concussions and serious head trauma are among the most overlooked injuries in the UK. For those playing sports, especially, such injuries can be easily overlooked. To examine one sport in particular, concussion rates in rugby have risen by as much as 59%, according to a study by the England Professional Rugby Injury Surveillance Project. Now, people are beginning to notice the serious problems which a concussion can cause, even outside the world of sport. If you have been involved in an accident that was not your fault and it has caused you a concussion-related injury, then you may be entitled to claim compensation. In situations where you have suffered a concussion that was not your fault, then a compensation payout can help pay medical bills, recover lost wages, and generally deal with the long term effects of such an injury. This guide aims to show you how to deal with any such compensation claim. Concussion injury claims can be long, complicated, and difficult to manage. That’s why legal assistance can be so important. If you are concerned about your potential injury, this guide could be exactly what you need. A guide to accident claims for concussion injury. What to do if you are involved in an accident causing a concussion injury. How to begin a concussion injury claim. What can be claimed for after an accident causing a concussion injury? 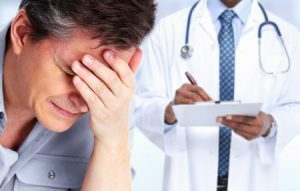 What is a concussion injury? The long-term effects of a concussion injury. The most common reasons concussion injuries occur. Assessing the severity of a concussion injury. How much compensation will I get after an accident causing a concussion injury? A concussion Injury case study. No win no fee concussion claims. Why choose us as your claims service for a concussion injury claim? This guide is designed to inform and assist you with your personal injury compensation claim for an accident that has caused you a concussion-related injury. It will provide you with accurate and precise information regarding the potential issues that you will need to consider before, and during, and after your claim. Throughout this guide we will present the range of actions that you will need to take if you have been involved in an accident. If you are considering making a personal injury compensation claim for said accident, then this guide can outline the process of seeking out legal help and how the severity of your injury can affect your compensation payout. The guide will additionally inform you about what damages and costs you are able to claim compensation for, such as medical and financial costs, and how to maximise your chances of getting the compensation amount that you deserve. If you are involved in an accident that causes a concussion-related injury, your first priority should be seeking medical assistance. Concussion-related injuries can have serious implications for your health and need to be properly examined by medical professionals. However, once you have ensured that you are safe and medically stable, you can begin gathering evidence. This evidence can form the foundation of a potential legal claim. You should gather witness statements from anyone who saw the accident. For example, this could include colleagues if your accident occurred at your place of work. This is to help corroborate your version of events and help establish negligence on the behalf of the defendant. You should find additional evidence that your accident was as result of negligence on the behalf of another party. Returning to an example workplace where you have been injured, your employer has a responsibility to protect your health. Evidence could include a lack of proper training or failure to adhere to health and safety standards. You should ensure that you have evidence to establish the severity of your injury. For example, after your accident, if you were taken into hospital, then any test or medical report can act as evidence for the severity of your injury. For example, this could include x-rays. The gathering of this information is essential to our assessment of your claim, as we need as much information as possible to give you an honest assessment of your case. This holds especially true of evidence of the severity of your injury, as your concussion compensation amount is influenced by a concussion compensation calculator, a matter which we will examine in depth below. When you want to begin a compensation claim for an accident that has caused a concussion-related injury, the process will be made easier with the assistance of dedicated legal professionals. Law firms such as ours will provide you with the stability and support that you need to get through this difficult time. Professional assistance is the best way in which to steer yourself through the difficult legal bureaucracies that many people face. As previously mentioned, the first step you should take is to gather the evidence necessary to support your claim. This could include almost anything, such as witness statements, medical reports, and photographs. Particularly in the cases of accidents that have caused concussion-related injuries, evidence such as CT scans and physiotherapy reports can be very useful. Once you have this information, it can help to chat to an expert. If you are considering a personal injury claim for concussion, our firm can provide a free legal consultation. This is a phone consultation in which we go over the evidence you have gathered and the details of your case. We’ll provide advice on whether you have a case or not, as well as making suggestions for how to move forward. If you decide to hire our team, we can make further arrangements on your behalf. As your Claims Service, we can bring your compensation claim to court, complete further fact-finding by looking at CCTV, and arrange local medical assessments to evaluate the severity of your injury. If you have suffered from an accident and now wish to launch a concussion injury claim, our assistance can be invaluable. We’ll discuss our services in a later section. General damages – this includes unspecified damages such as pain and suffering as result of the injury, effect upon day-to-day life, and loss of reputation stemming from the injury. Special damages – this includes measurable damages such as direct loss of earnings, cost of home care as required by your injury, and damage to property such as your vehicle. Medical costs – this includes the cost of medical tests and treatments either not covered by the NHS or sought out from either private healthcare providers or overseas healthcare providers. Travel costs – this includes the cost to travel between your home and hospital appointments and – potentially – travel to foreign countries if treatment is sought overseas. These costs should demonstrate the number of different expenses that you can claim compensation for in relation to your accident. In the vast majority of cases, the major factor will be the severity of the injury and the impact it has on your health. In order to understand this, it can help to understand the nature of a concussion injury. Sudden confusion, such as lacking a sense of spatial awareness or the ability to recall recent events in your life. Sudden headache, alongside dizziness and a loss of balance. A strong feeling of nausea, potentially followed up by vomiting and retching. Brief loss of consciousness, potentially alongside memory loss of events immediately previous to said loss of consciousness. Slurred speech, especially alongside serious vision changes such as spots or stars appearing in your eyes. Sudden personality changes, such as becoming angry more easily than before the trauma and the mixing up of different emotions in trying situations. It is essential to watch for all of these symptoms if you (or another person) suffered a head injury. If you wish to discover more about your injury and any potential concussion, we can arrange a local medical assessment for you. This will evaluate the severity of your injury and determine whether more tests are necessary. If you have suffered from an accident resulting in a concussion-related injury and the symptoms of your injury fail to heal, you may be additionally suffering from post-concussion syndrome. Post concussion syndrome, also known as PCS, is thought to be caused by long-term physiological damage done to the connections within the brain. It can be the result of a concussion-causing injury. While some believe the cause to be rooted in psychology more the physiology, it is ultimately uncertain either way. However, if you are suffering from post-concussion syndrome as the result of an accident, then the matter of compensation might be pertinent. With PCS, typical concussion symptoms such as fatigue, loss of memory, and changes to personality can last for extended periods of time and can badly affect your quality of life. In addition to this, for anyone considering a post concussion syndrome injury claim, settlement amounts for post concussion syndrome UK are higher than settlement amounts for minor or moderate concussion symptoms, meaning your eventual payout will likely be higher. The long-term effects of a concussion-related injury, especially post-concussion syndrome, can create lasting problems. Such problems can often incur increasingly high costs for medical treatment and assistance. As a result, you can claim compensation for the future losses and costs that your injury may cause. These costs are typically assessed by a medical examination that our company can arrange. They include care costs (such as a live-in carer or admission to a nursing home), direct and future loss of earnings as result of your injury, and general damages caused by emotion pain and suffering, especially from severe personality changes that may damage relationships. All of this can be factored into a settlement. By far the most common cause of concussion-related injuries is playing sports. This is particularly true of heavy contact sports such as rugby and American football, where the chance of being hit in the head is greatly increased. Sporting activities in schools can be affected by this. Casual transport such as bicycles are also a common cause of concussion-related injuries. As many people fail to abide by health and safety standards – such as wearing a padded helmet – bicycle accidents are particularly prone to head and brain trauma, leading to concussion injuries. Car accidents are another common cause of concussion-related injuries. As result of the high speeds involved, car accidents commonly result in concussion injuries due to head trauma, even when factors such as seat belts and airbags are taken into account. Falling and slipping can cause concussion-related injuries, especially at your workplace. If you have been involved in any of the above accidents, as well as having suffered from concussion like symptoms, you may be due compensation. Minor – this may include injuries such as a minor concussion, preventing you from working for a short period. While clearly affecting you as an individual, these injuries are not considered to be as traumatic and will heal over a short period of time. As such, injuries of minor severity typically receive the smallest amount of compensation. Moderate – this may include injuries such as moderate concussion. The longer-term nature of these injuries typically leads to more compensation being awarded. These injuries will still generally improve over time, especially with medical assistance. Severe – this may include injuries such as post-concussion syndrome, lasting for months or even years. These injuries have a massive effect upon you, causing permanent changes to your health that may require continued medical treatment and care costs. As such, these injuries typically result in the largest compensation amounts being awarded. One of the most common questions we receive regards the concussion claim amount that will eventually be paid. Trying to make an exact estimate in the early stages of a claim can be difficult. For instance, a post-concussion syndrome injury claim will depend on a series of medical examinations. However, there is a way in which we can provide a rough estimate of the amount you might receive. Concussion-related injury payouts vary considerably based upon the severity of your injury. In order to get an understanding of how much compensation you could receive for your claim, we have created the below table. It can provide estimated amounts using averaged data taken from cases similar to your own. As you can see, the amount of compensation that you could receive for your personal injury claim varies based upon the severity of your injury. This is especially true in the case of long-term injuries: your post concussion syndrome compensation amount might be much higher than the amount awarded for a minor concussion. This is why getting a medical assessment is so essential to your compensation claim, and why our company offers to arrange a local medical assessment for you as part of our service. When you are considering a compensation claim, much of the information can be hard to digest. There are many theoretical discussions which can be hard to quantify. Accordingly, we have provided the below case study. It’s a short example designed to outline a few of the details regarding your claim. In this case study, a claimant was involved in a car crash. The accident left them with a mild concussive head injury, as well as post-concussion syndrome that lasted for over 6 months. This affected their university studies by leaving them unable to concentrate. Eventually, the symptoms caused the claimant to leave university. The claimant was able to successfully claim £45,000 in compensation from the driver that was involved in the accident. After making a claim, it was determined that the other driver was acting in a negligent manner. As well as the severity of the concussion related injury, the impact on quality of life was also important. 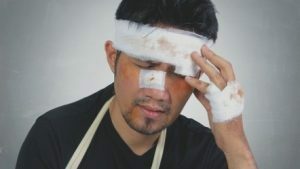 However, the deciding factor in their case was the severity of the claimant’s injuries, thus highlighting why assessing your the severity of an injury is extremely important to your own claim. The worst part of making a personal injury claim for an accident causing a concussion-related injury can be the legal fees that you might be charged for trying to claim compensation. These legal fees may be charged against you by a Claims Agency and can cause lasting damage to your financial and mental state. If you are already experiencing financial issues as result of your accident, such fees can appear excessive and extortionate, hurting you when you are at your most vulnerable, rather than giving you the support that you need. If you choose our company to represent you, our ‘No Win, No Fee’ policy helps to preserve your financial stability throughout the claims process. This policy, also called a ‘Conditional Fee Agreement,’ means that we will only charge for our services on the condition that we win your compensation claim; if your claim fails, you won’t have any legal fees or debt to add to your worries. This provides a safe and stable base for you to successfully claim compensation for concussion and whiplash related injuries. When you decide to make your personal injury claim, you need the strong support of your Claims Service. Our years of experience in dealing with concussion injury claim cases places us as one of the most capable companies when dealing with accident-related personal injury claims. This experience has enabled us to gain a deep understanding of how to maximise your chances of being successful in your compensation claim and the amount of compensation that you could receive. Our team of legal experts will ensure that your concussion personal injury claim is dealt with efficiently and professionally in court. They can assist you in your claim at every point of the process and give you premium advice on how to proceed with your accident-related concussion injury. This is highlighted by our ‘No Win, No Fee’ policy. This emphasises our company’s commitment those who believe they cannot claim due to their financial status and limits the amount of stress that you will face throughout the process. We can even arrange for a local medical evaluation to strengthen the evidence you have. We are by far the best company for dealing with personal injury claims for concussion-related injuries and you should choose us as your Claims Service to help you through a difficult time. Getting in touch is easy. You can begin the process of your claim using the contact form on our website or by calling the number below. Once you get in touch, we can begin the process of getting you compensation for the accident you suffered. A quick call to 0800 073 8804 is all it takes to arrange a free consultation and get your claim started. Find out how much compensation you can claim for Whiplash. Concussion is the sudden but short-lived find out more about this head injury and the most common type of brain injury. Find out what amount of compensation you could claim for a brain injury?.